What is Tordelli you ask? It’s a form of ravioli that is a delicious meat-filled pasta native to Tuscany. This dish is traditionally enjoyed during special occasions, and we couldn’t think of anything more special than National Ravioli Day. 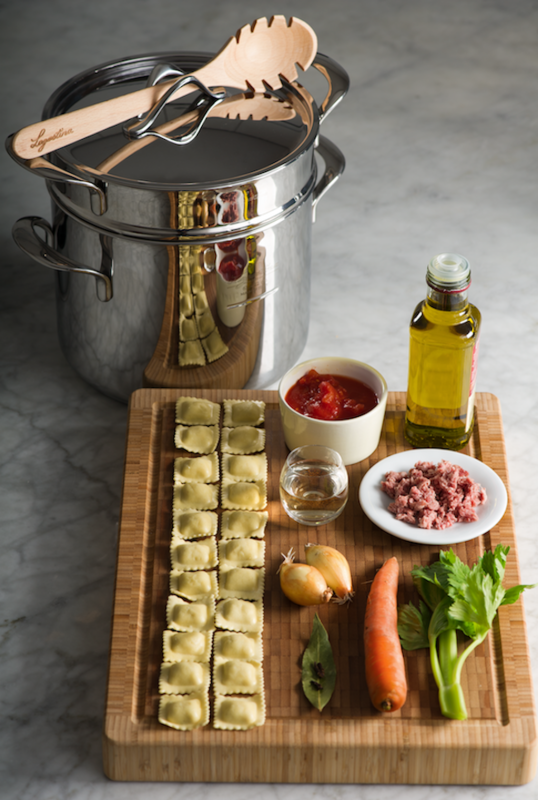 If you have a deep pot at home that’s perfect to create this delicious recipe, but if you are looking for a new addition to your kitchen Lagostina’s Pastaiolo, is the one to pick. A part of Lagostina’s Made in Italy collection the Pastaiolo is uniquely designed to guarantee the best results when cooking pasta. The pasta-bilities are simpy endless! You will love to prepare Lagostina’s Tordelli Lucchesi, at home. 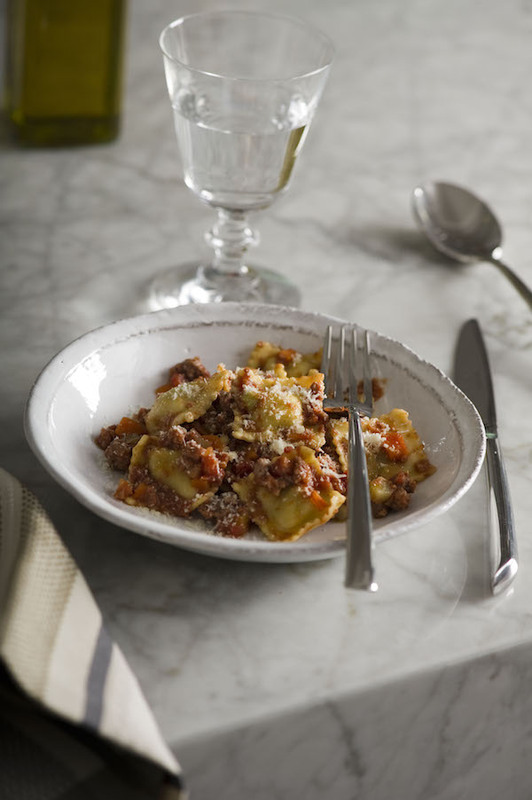 The stuffed pasta and ragu combo is sure to become a household favourite. Let’s take a look at how you can make this delicious dish yourself. Chop the carrots, celery and onion into small pieces. Preparing the sauce: brown the carrots, celery and onion for 5 minutes in a large saucepan. Add the ground meat. Leave to cook for 15 minutes and add the white wine. When the wine has evaporated, season with salt and pepper. Add the cloves and bay leaves. Add the tomato puree when the sauce thickens. Adjust seasoning to taste. Leave to cook on low heat for at least two hours. If the sauce becomes too thick, add a little hot water from time to time and mix. 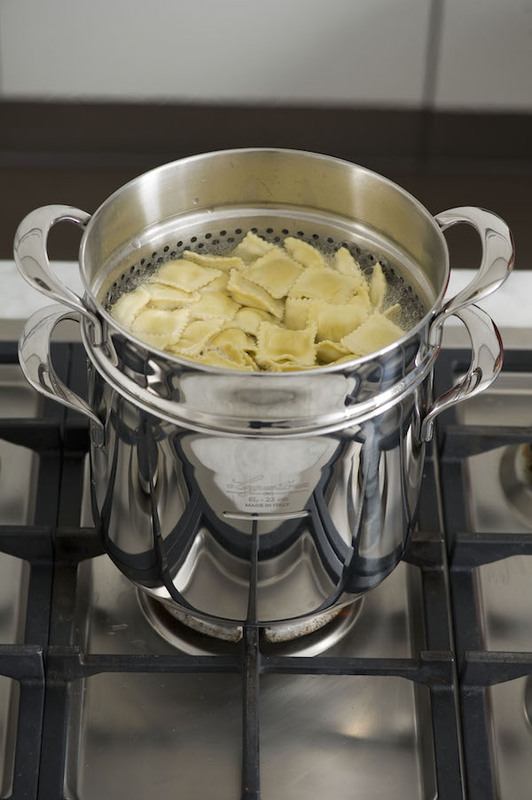 Half an hour before the end of the cooking time, bring a large saucepan of salted water to a boil. Add the tordellis when the water begins to boil. Mix the sauce with the tordellis and sprinkle with grated parmesan. What’s your secret to a great pasta? Let us know in the comments!